Alexander and Nicholas are two 8 week old Pug puppy brothers. 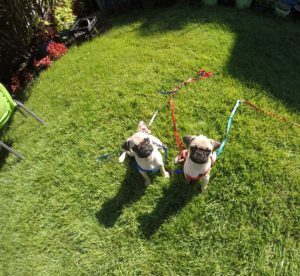 Their owner is an experienced Pug owner, but she understood the importance of proper training, early in a dog’s life. That’s why she immediately looked for a dog trainer Carmel NY and called me for my specialized in-home dog training. As with most new puppies, we started training by focusing on housebreaking and puppy biting. The hassle of waking up in the middle of the night to let your puppy out and arriving home from work to find accidents on your floor, are very real concerns. As a result, I have owners follow my very effective three step housebreaking plan that I use with every puppy. Stop struggling with your puppy’s accidents and let’s get them solved now. Owners understand that it’s normal for puppies to bite, but it is easy to get frustrated with their incessant biting. The key is to learn how to appropriately handle this, so you can teach your puppy that biting you, your close, or chasing your kids are unacceptable. Puppy owners ask me all the time, “When should I start obedience training with my dog?” The answer: NOW. There is no reason to wait to train your puppy. I start obedience training with puppies at 8 weeks old. Young puppies are learning every day, it is just a matter of what they learn…good habits or bad habits. If we teach them good habits at an early age, it lasts a lifetime. Puppies are extremely receptive to learning. They are eager sponges who want to soak up knowledge about the world around them. Use this as your opportunity to teach good habits, appropriate behaviors, and obedience commands that will make your life easier and more enjoyable with your dog. Dobby’s family was in need of a dog trainer in Carmel NY who specializes in at-home training. 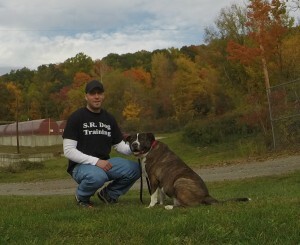 Dobby’s owners understand the importance of proper training, so they contacted me for obedience training. 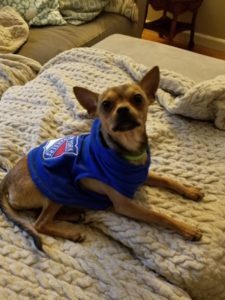 He is a very smart and happy Chihuahua, who is learning “Sit”, “Down”, “Come”, and “Stay”. A dog who knows reliable obedience commands, not only listens well, but also has more freedom because they can easily go more places with their family. Help make your life easier, less stressful and more enjoyable, by teaching your dog the obedience commands every dog should know.